Cristiano Ronaldo is now on the verge of being banned for at least one game in the Champions League following his celebration against Atletico Madrid in the second leg round of 16 clash. Ronaldo was superb for Juventus on Tuesday night, March 12, scoring three goals against Atletico Madrid which sent the Old Lady to the quarterfinal of the Champions League. And after scoring the third goal, Ronaldo is said to have mocked Diego Simeone with a crotch-grabbing celebration in front of the travelling fans as emotions ran away with him on the night. Atletico Madrid manager Simeone was hit himself with a ban following his celebration against Juventus in the first leg which ended 2-0 in Spain. According to the latest report by UK Sun, UEFA may likely take the same judgment on Ronaldo's celebration against Atletico Madrid. And if they do, then it means that Cristiano Ronaldo will miss one of Juventus' Champions League encounter against their imminent opponents. 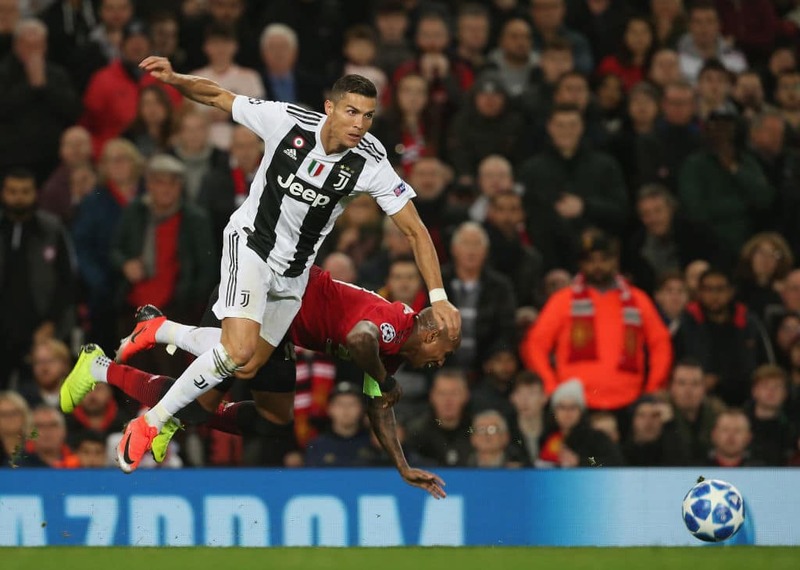 Earlier, Legit.ng had reported how Rio Ferdinand described Cristiano Ronaldo as a "living god" following his heroics in Juventus Champions League clash with Atletico Madrid. The Bianconeri needed to overturn the two-goal deficit in the first leg suffered at the hands of Diego Simeone's side at Wanda Metropolitano. And Juve's talisman Ronaldo responded with three unreplied goals in emphatic fashion making it eight hat-tricks in his Champions League 126-goal tally.